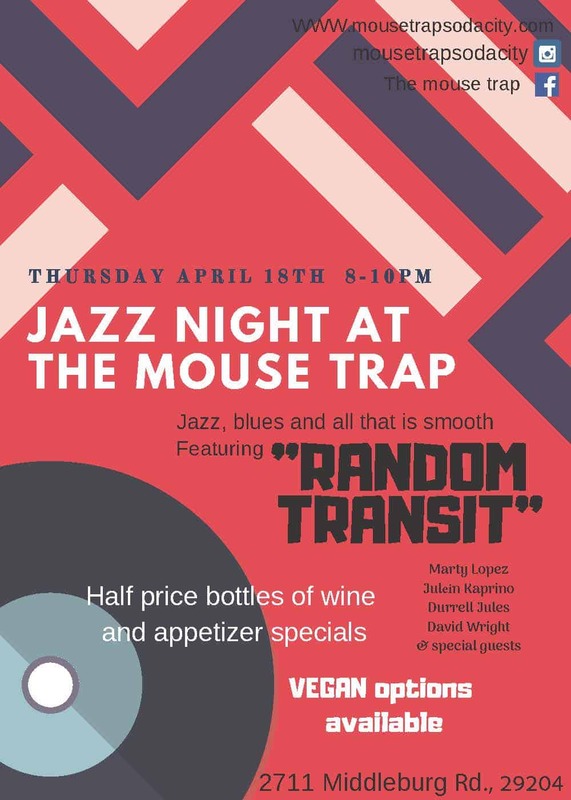 Join Random Transit and special guests for jazz, blues, bossa nova, and other smooth sounds. Half-price bottles of wine and appetizer specials. Vegan options also available.